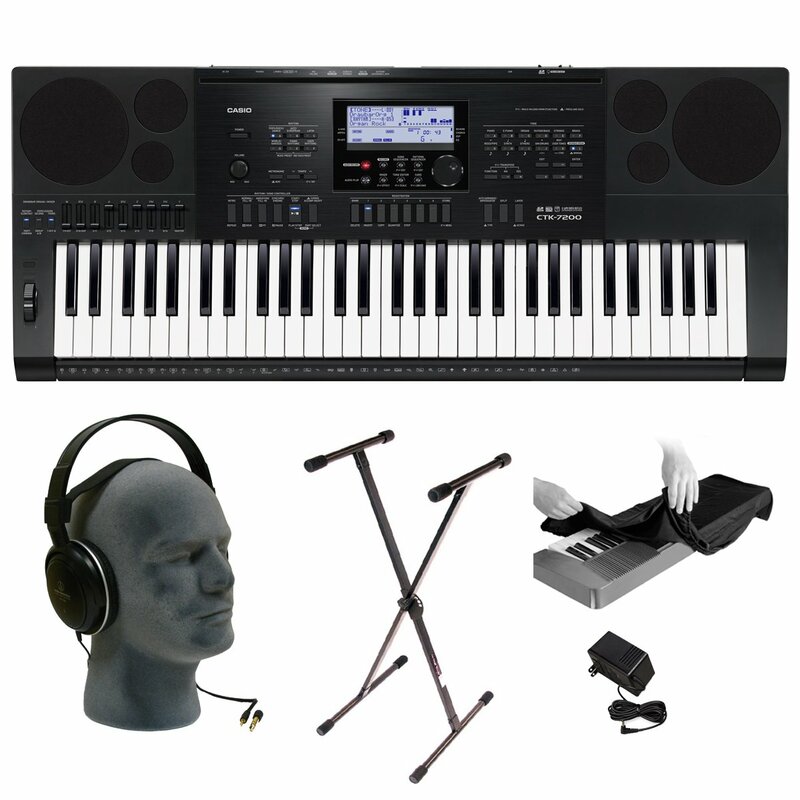 The Casio CTK-7200 is a fantastic workstation, especially for music producers who would like to have fun. That’s why Casio seems to pack everything you need in this product to make music fun on the go. ​We understand that making music may not be an easy venture, but with a perfect instrument. This basic keyboard is such a fantastic option for beginners and intermediate musicians. To find out the reason why this music support tool is worth your purchase, keep an eye on our Casio CTK 7200 review now! The CTK-7200 is ideal for ambitious music lovers. It is such a great inspiration for creative music making and production with its 260 rhythms, 61 piano-style keys, and 820 tones, not mentioning a rhythm editor, pattern sequencer and pitch bend wheel. 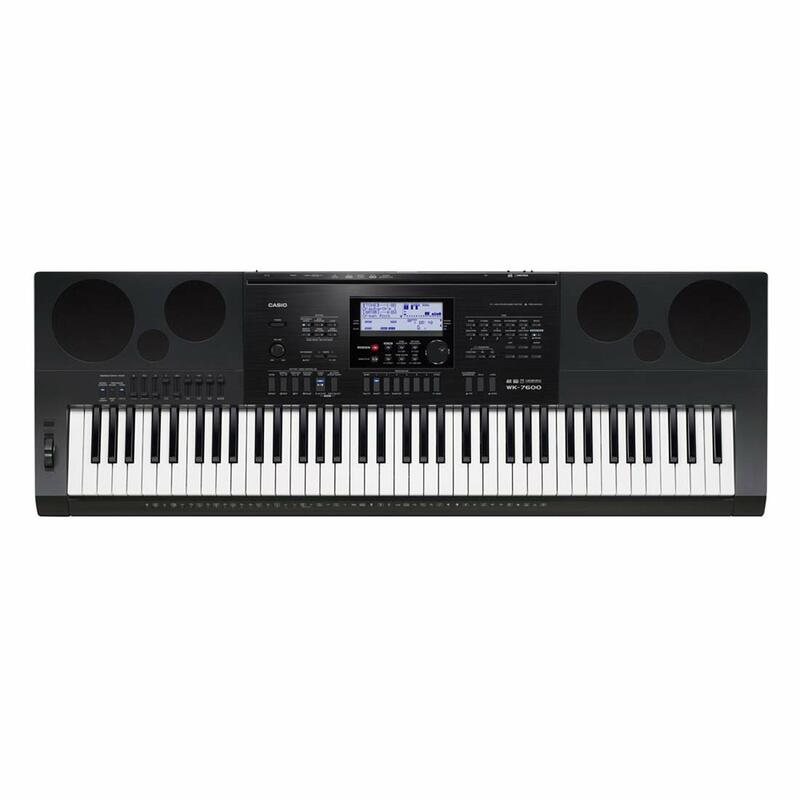 One of the best parts about this keyboard is its great connectivity through an audio input to listen to good tunes on your CD or MP3 player. Get your creative juices flowing instantly with this product! The CTK-7200 keyboard from Casio is a perfect portable keyboard for a budding pianist. With 61 keys, it offers 820 different tones that are both orchestral and synthesized, plus drums. There are also 260 unique built-in rhythms, and endless songs, which everyone can play along with as a great learning tool. The AHL sound source is pre-programmed with many digital samples of recorded acoustic musical instruments using the best digital technology. And, the CASIO original sound technology allows you to reproduce all of the naturally smooth original waveforms. Just prepare yourself for a full-sounding performance since an auto-accompaniment featuring bass and chord parts will support you. Bring yourself from a beginner to a pro in no time. Well, if you are wondering if the speaker quality of the product is high or not. The high-output 2-way bass reflex speakers will give you the expected answer. A 7W+7W 2-way 4-speaker system helps deliver rich and creative sounds from low to high range. You can also use the speakers as a high-quality monitoring system during your music performances and creation sessions. And, a rotary speaker using a built-in DSP offers the unique acoustic effects of drawbar organ speakers to users. Connectivity is essential to all keyboards, no matter what you want, to export your music or play your favorite songs to external devices. Here, the AUX input enables you to connect to MP3 players, smartphones, and many similar devices. So, this way, users can utilize the built-in speakers to listen to loud music from smaller devices. Also, there is a standard USB MIDI port for computers, laptops or iOS devices. No extra driver or installation is required. This instrument comes with a music stand and AC adaptor. 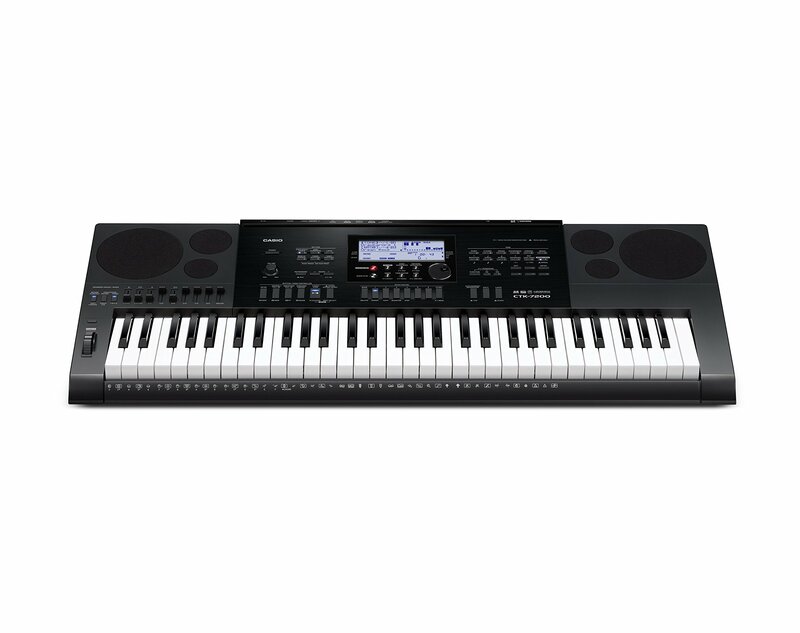 For beginners, it will be much easier to create your first sounds with this CTK-720 keyboard since the package includes the Step Up Lesson System which guides you steps by steps on sound production. Just read it, and that useful user manual will help you learn to start producing the lovely sounds instantly. The dual power supply system allows you to use 6 AA-size batteries for its enhanced portability or even the Casio AD-5 AC adaptor. For a reasonable price, this Casio CTK-7200 carries a vast number of exciting features that would commonly cost much more. And, it even gets better with many significant advantages to users. 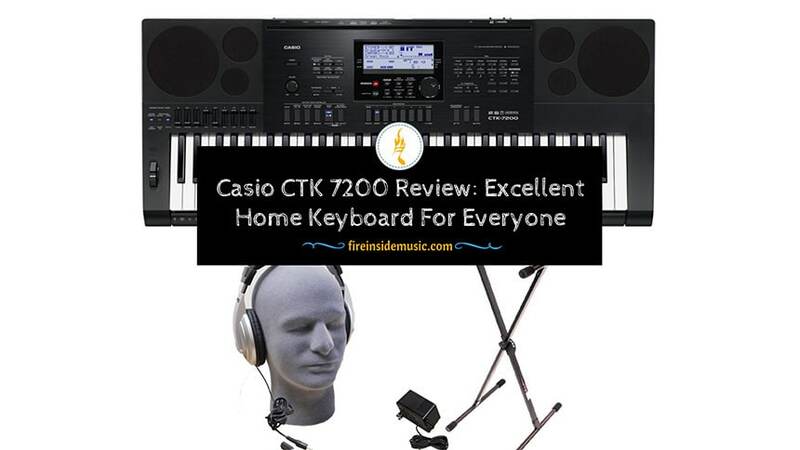 To understand more about the product, besides the specs of the musical instrument, it’s time to read our Casio CTK 720 review from top to bottom. Coming with a step up lesson system in the package, beginners will easily get on well with their very first sounds produced by this instrument. And, not only for beginners or intermediate-level performers, but this tool is also perfect for seasoned musicians to produce, record, and arrange beautiful tracks. Over 60 piano-style full-size keys bring a familiar feel of the keys to your hands as well as unlimited sounds to make the music tool stand out from the crowd. Besides pre-packaged sounds, users can freely add, craft or customize their sounds. This product, with its performance-friendly bits, a 32-Channel mixer, and a 17-track sequencer, is a viable tool for music arranging and sound recording, especially for premium arranger keyboards. 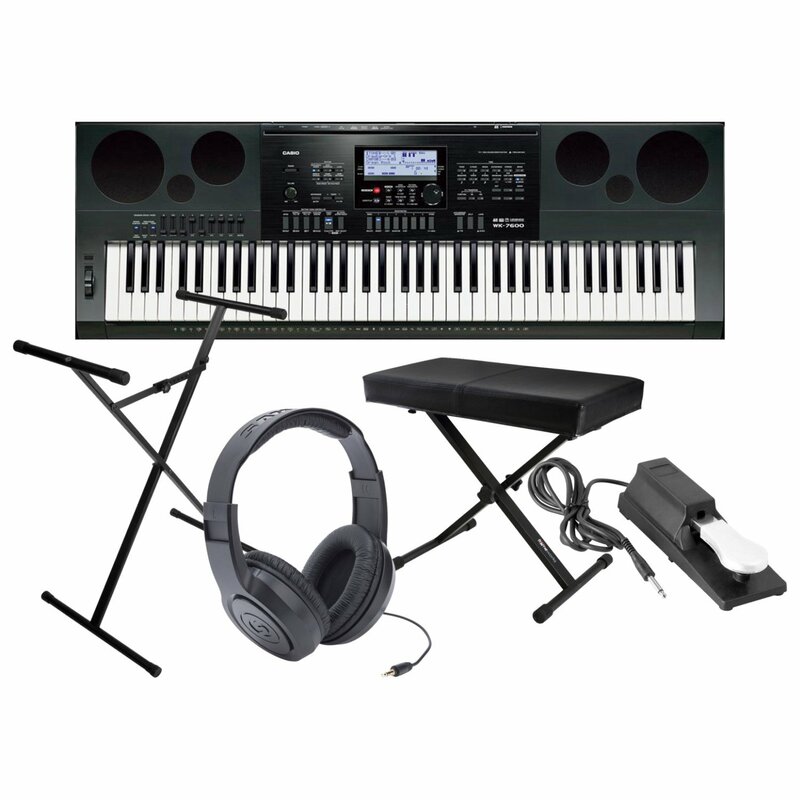 Are you looking for an electronic keyboard for the best sounds? Get yours here. Furthermore, a headphone jack will keep your music practice sessions private. Never worry about disturbing your family in the middle of the night again. Just keep it to yourself and make your completed song a surprise for everyone in your family. Just connect it to an MP3 or CD player via an audio input, and then you will be ready to listen to your favorite tunes and sounds through its keyboard speakers in the Playback mode. For professionals, connect the microphone jack to a mic and then, create a full-blown show. The user manual is not user-friendly; it should cut down on pages to stop users from being confusing sometimes. Casio has surely released a lot of different digital pianos which have bit the market hard. We will not compare Casio CTK 7200 vs. CTK 6200 in this article. But, today, we’re going to point out the comparison between Casio CTK 7200 and Casio WK-7600 so that you can find out your best purchase. A fantastic built-in keyboard will make it much effective and simple to learn on. Here is how you can produce out-of-this-world sounds. Find out yours now! MIDI is just IN/OUT while it is 16 Channel multi-timbre received, GM level 1 for Casio WK-7600. Whichever model you buy, it will unleash your creativity with its powerful effects system and record audio from built-in inputs. 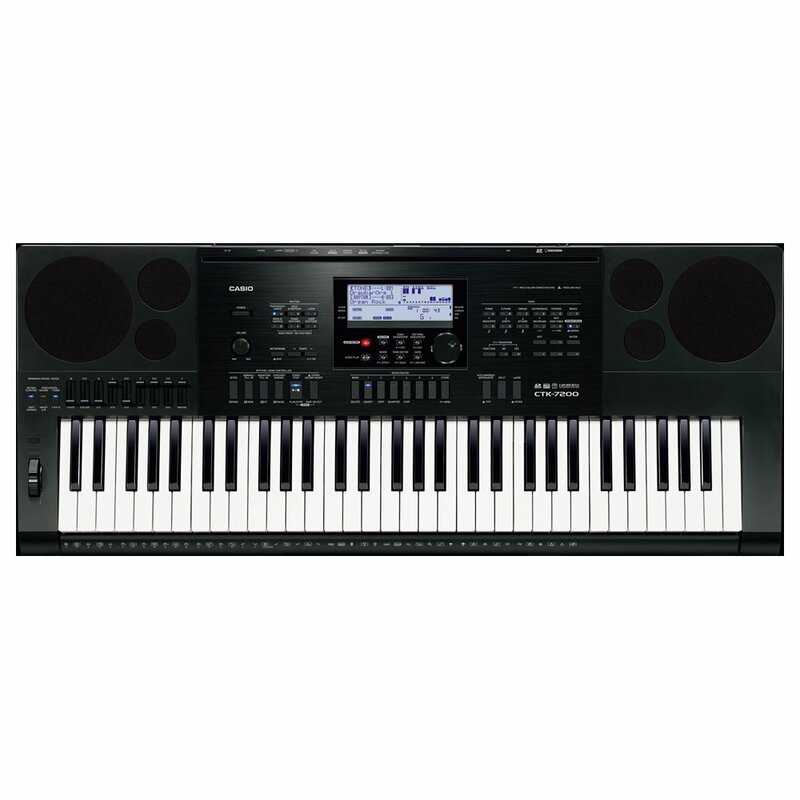 For the Casio CTK 7200, you will use 61 touch-responsive keys, which has a nice feel, extra pitch bend, and modulation to create a remarkable performance. Indeed, it is not weighted, but it is not as flimsy as old controller keyboards or synth-action keys you have encountered. 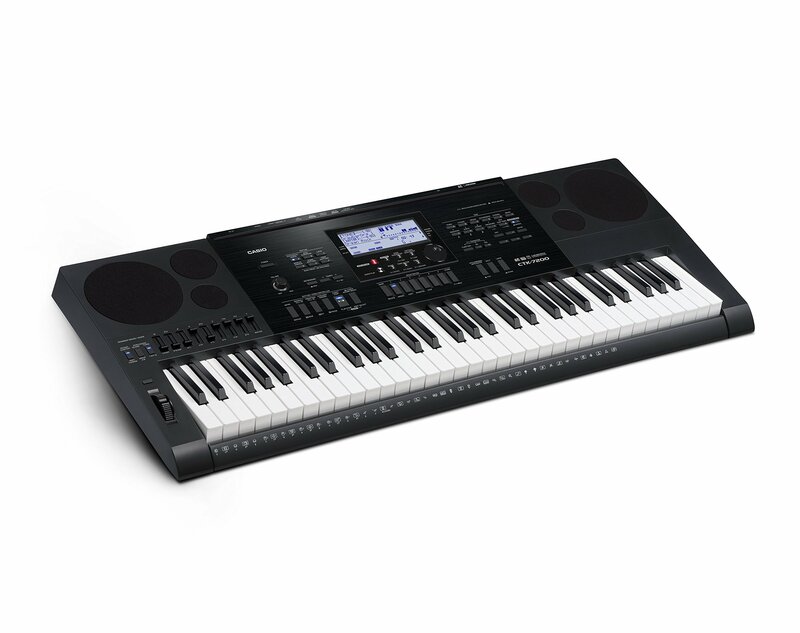 Meanwhile, the Casio WK-7600 comes with 76 touch-responsive keys to make it feel like weighted to give performances beyond your expectations. The only downside to the Casio WK-7600 keyboard is that its keys are a little clicky. Thus, if you want to have a more comfortable feel to your hands, the only option is to purchase a sustain pedal to play along with. When it comes to the Casio CTK 7200 keyboard, we can’t mention its powerhouse arranger. That makes it easy to transform your musical sounds of fancy into amazingly finished tracks. And, the Casio WK-7600 keyboard seems to win this round even for an amateur or professional musician. Thanks to the exceptional features, it will allow you to edit, create, and play all compositions everywhere you want, in the studio, at home, or on the stage. Sum-up the comparison: After finishing reading the Casio CTK 7200 vs. WK 7600, we can point out that the battle seems never to end. And, the results of all rounds are tight enough. Since we don’t set any common rule for a standard keyboard, you can make your purchase based on your needs and priority. It’s time to come to the meat of this Casio CTK 7200 review. So, without further ado, it’s time to sum this Casio CTK 7200 review up. The incredible features such as great connectivity, reasonable price, lightweight, keys, and sound effects, etc. make it outstanding from the majority. We used to recommend the Casio CTK-7200 as one of the most highly rated options available on the market. And, it will be a tick on your perfect keyboard list under $500. In conclusion, the Casio CTK 7200 review states the obvious - this outstanding model will impress you even if you are just new or intermediary users.